South Carolina's Republican Gov. 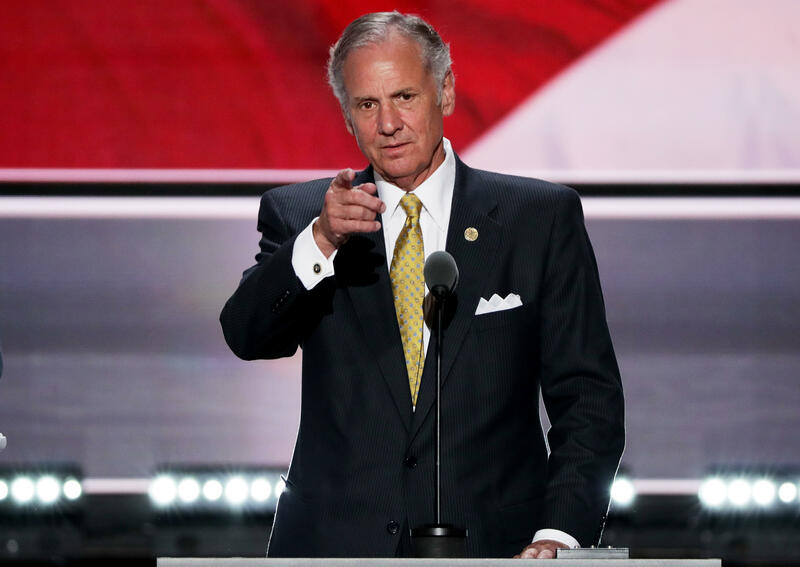 Henry McMaster issued vetoes on Thursday cutting nearly $16 million from the state budget to prevent taxpayer dollars from directly or indirectly subsidizing abortion providers like Planned Parenthood. McMaster defended the budget vetoes as keeping a campaign promise. "There are a variety of agencies, clinics and medical entities in South Carolina that receive taxpayer funding to offer important women's health and family planning services without offering abortions," he said. The line-item cuts amounted to $15,779,259 in funding for a variety of services throughout the state, including family planning. Planned Parenthood was set to receive less than $100,000 under the budget. McMaster said he directed the state's Department of Health and Human Services to submit a waiver to the federal government that would allow the state to withhold funding to abortion clinics. Such facilities currently receive federally mandated reimbursements from a state government's 10 percent share of Medicaid reimbursements. During a news conference about the vetoes, a reporter asked McMaster if he was concerned that the vast majority of the cuts -- more than $15.5 million -- affect health care providers beyond Planned Parenthood. "There is concern, but the big concern is Planned Parenthood using taxpayer money for abortions," the governor replied. "I'm going to veto that every chance I get." Planned Parenthood South Atlantic, the organization's regional affiliate, said McMaster's vetoes were misguided. Spokeswoman Sarah Riddle said that 90 percent of the roughly $15.7 million included in the cuts is money that comes from the federal government. "If it doesn't come back to us in South Carolina, it's going somewhere," Riddle said. "It's a pattern of turning down money to make a political point and all it does is hurt women, families and South Carolinians." Vicki Ringer, director of public affairs for Planned Parenthood South Atlantic, said that the move was part of what she called a "terrible political football game." "Over 99.99 percent of the money goes to other providers," Ringer said. "About 0.004 percent of the money he vetoed goes to Planned Parenthood." Ringer said she is concerned that organizations that provide life-saving services to pregnant women could be harmed by the cuts. "There will be an increase in unwanted pregnancies, an increase in preventable cancers and an increase in abortions, which the governor says he wants to stop," Ringer said. She added that the "greatest majority" of Planned Parenthood South Atlantic's patients are uninsured, since they're unable to afford private insurance and don't qualify for Medicaid.